January 15th: Trade union Unite, which represents over 200 members at AIB, has written to Finance Minister Michael Noonan informing him of the rapidly deteriorating industrial relations climate at the bank and warning of possible industrial action should AIB fail to engage with the union to resolve a number of issues. Chief among these is the bank’s failure to honour a pension agreement concluded in 2009, which envisaged the employer – then EBS – increasing its contributions in tandem with increased employee contributions. Although Unite members honoured this agreement up until the scheme’s closure in December 2014, the agreed employer contributions were not forthcoming. Since last May, Unite has unsuccessfully sought clarification of the position. Speaking today, Unite Regional Officer Colm Quinlan said that AIB had consistently attempted to bypass the union, and he accused the bank of engaging in what Mr Quinlan termed ‘constructive disengagement’. “The company has consistently refused to engage with Unite, not only in respect of our members’ pension scheme but also in respect of individual workers. The most recent example of management’s refusal to engage was their breath-taking decision to notify us by text message of this week’s outsourcing proposals. “The three unions in AIB are continuing to work together to defend our members’ interests in advance of the bank’s likely re-privatisation. “As a consequence of reckless management behaviour, which contributed hugely to our national banking crisis, AIB is now owned by the Irish Government – yet management’s cavalier approach to its workers is in marked contrast to Government policy in respect of union recognition, as reflected in the spirit of the proposed collective bargaining legislation. “What we are seeing is a process of constructive disengagement with workers’ representatives. “The company’s determination to avoid engagement with Unite does not bode well for the pay discussions due to commence during the next few months. 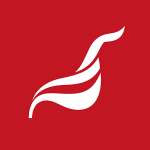 Unite has put management and the Minister, representing the bank’s owner, on notice that a continued failure to engage satisfactorily may well result in industrial action”, Mr Quinlan concluded. This entry was posted in Press Releases, Republic of Ireland news and tagged AIB, Colm Quinlan, pensions, Unite ROI. Bookmark the permalink.